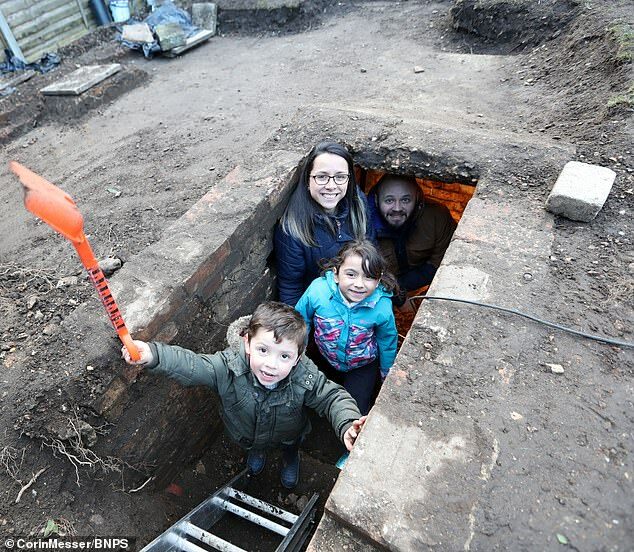 A family discovered a World War Two shelter in their back garden after they dug up their patio to build a new shed. 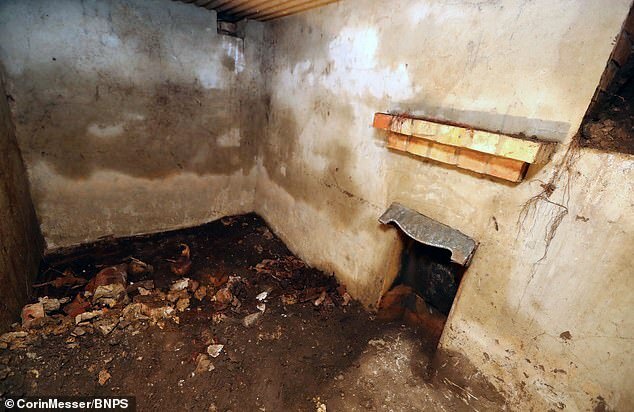 The shelter, which has a fireplace and a chimney, was discovered by Francisco Goncalves and his son-in-law Bruno Neri at his home on Barnes Road, East Howe in Bournemouth. The pair had been removing slabs to erect a shed when they found a gap between them which opened up into a ‘little corridor’. After clearing away the soil, Mr Neri slid into the gap in the earth and discovered a small room that was filled with rubble and bottles. 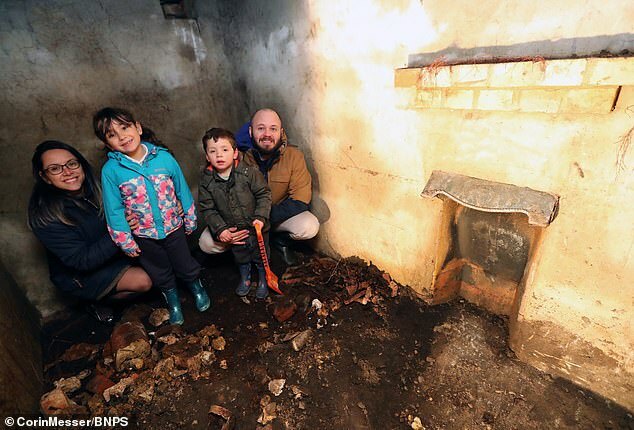 With the help of Mr Goncalves and Bruno’s wife, Gabriella, they spent the next few weeks clearing the shelter so they could invite their children, Jasmine, 6, and Brendan, 3, to explore. Mr Neri said: ‘They really love it and are very interested in why it was built and what it was there for’. 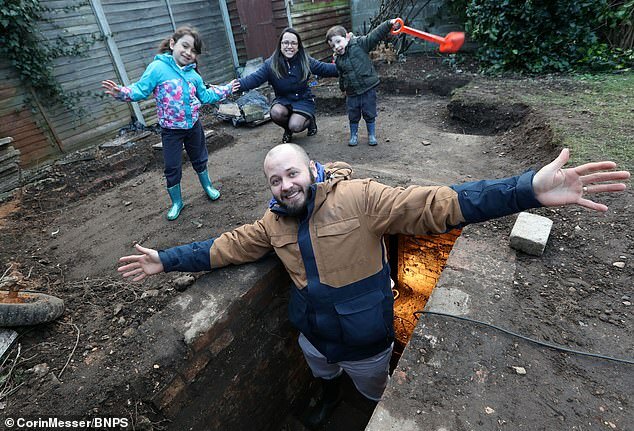 The family now plan to build a shed over the shelter with a trapdoor leading to the small room so they can make use of the incredible war artefact. And Mr Neri says the family also want to learn more about the family who used the shelter during the war.